It is great to see a local business going from strength to strength. Especially a Lincolnshire business that makes a product we enjoy so much. 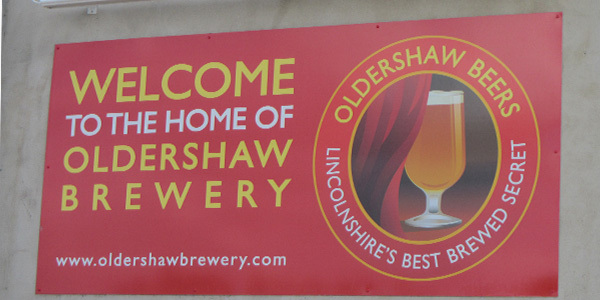 We were very happy to help with new signs to support the Oldershaw brewery expansion. Oldershaw make a variety of great beers including the award winning “Great Expectations” and the special “Grantham Stout”. Using aluminium composite signs mounted on posts and directly to rendered walls, fully branded signs for both wayfinding and customer acquisition from passing traffic. Since the brewery is in a remote location, with no street lighting – we even made the directional elements reflective to ensure customers looking for a pint on a dark winters night could find their way!